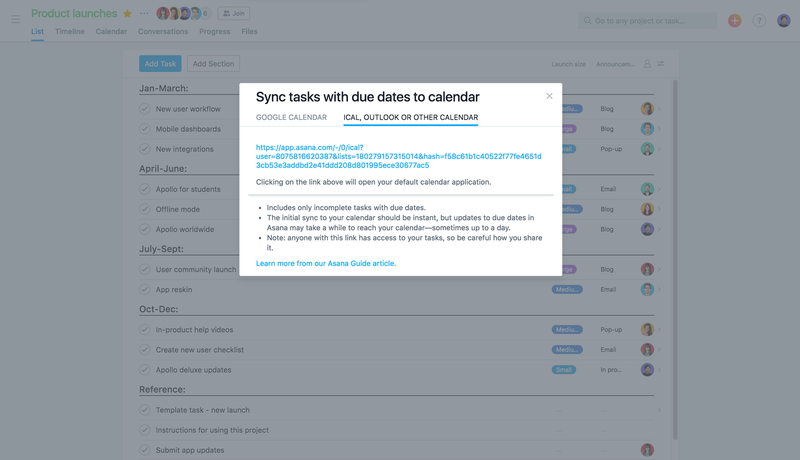 The Sync to Calendar integration helps you hit deadlines by syncing your Asana tasks with due dates to Apple Calendar, Outlook, or any other calendar you can subscribe to by URL. You can sync any project or My Tasks list to your calendar, and tasks with due dates will be listed as all day events. Then click into each event to go to the task in Asana. Note: This is one-way sync from Asana to your calendar. Updates to your calendar will not be reflected in Asana. My Tasks: See what tasks need to be done each day so you focus your time and effort on the right work. Important projects: Know when key milestones are coming up for your important projects, like marketing campaigns and product launches, so you can stay on top of deadlines. From the sidebar, select the project you want to sync. From the project header, click the dropdown arrow to access the project actions menu. Hover over the Export option, then select Sync to Calendar. Follow the steps on the Guide to finish the syncing process. From your My Tasks header, click the dropdown arrow to access the actions menu. 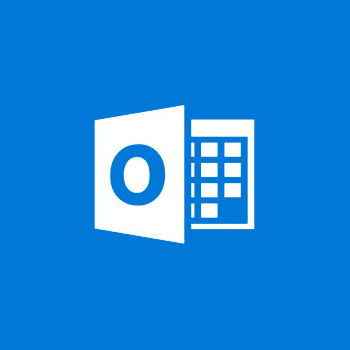 Learn more about this integration in the Guide or contact our support team for help.